In the majority of spread offenses at the collegiate level, the zone read is a cornerstone of the offense. 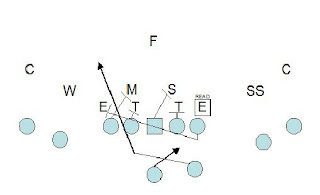 What do you do if you don’t have the personnel to be successful with a zone run game? I have found that the tackle trap is a great alternative to the zone read in the shot-gun spread offense.